Special Judge SS Mann has extended the Enforcement Directorate custody of Deepak Talwar till February 12. Deepak Talwar had fled to Dubai after Indian agencies started probing his role for concealing income. The Enforcement Directorate (ED) today claimed before a Delhi court that corporate lobbyist Deepak Talwar has links with fugitive Vijay Mallya in a money laundering case. Special Judge SS Mann extended the ED's custody of Deepak Talwar till February 12 after the probe agency said he was to be confronted with his son who is abroad and has been summoned by the investigating agency for February 11. "In lieu of the above, entities directly or indirectly controlled by the accused have received exorbitant amounts from Qatar Airways, Emirates and Air Arabia," ED has said, submitting a chart of total $60.54 million received by the firms directly or indirectly owned by Deepak Talwar between April 23, 2008 to February 6, 2009. 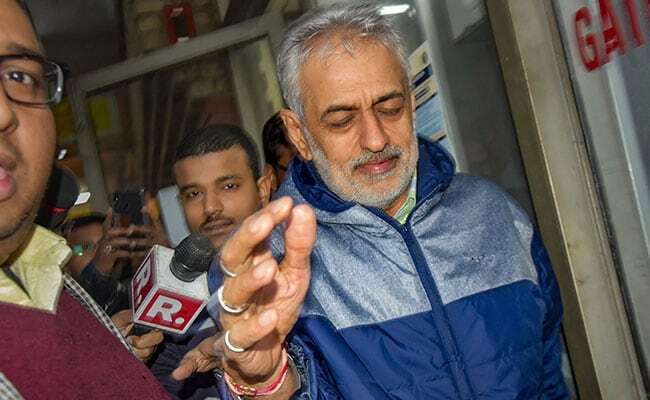 Deepak Talwar has been charged with criminal conspiracy, forgery and under various other sections of the FCRA for allegedly diverting Rs 90.72 crore worth of foreign funds meant for ambulances and other articles received by his NGO from Europe's leading missile manufacturing company. Deepak Talwar was booked by the ED and the Central Bureau of Investigation in criminal cases of corruption, while the Income Tax Department charged him with tax evasion.